← BC Hands & Voices and Guide by Your Side’s 2017 Fall Parent Workshop was a great success! BC Hands & Voices was thrilled to award Teresa Kazemir a “Lifetime Honorary Membership” at our recent annual parent workshop “Growing Up with Hands & Voices”. Many of you may already know Teresa from one or more of the many roles she plays within our community, for example as a past Guide By Your Side Parent Guide and Coordinator, a host or presenter at our BC Hands & Voices coffee nights, workshops and picnics, an early intervention Speech Language Pathologist, and as the parent of three children, one of whom is hard of hearing. Phew, it can make you tired just to think of all of that! Even if you haven’t had the chance to meet Teresa, your family has undoubtedly benefited from her pioneering leadership here in British Columbia. 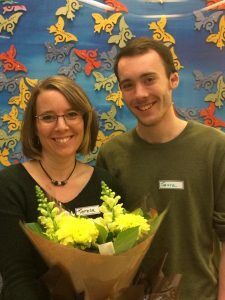 Since the inception of the BC Early Hearing Program more than 10 years ago, she has played a pivotal role in supporting families of young deaf and hard of hearing children, and in promoting the importance of parent-to-parent support. Her involvement started in 2006 as a member of the Parent Advisory Group that provided a parent perspective to help guide the process of establishing BC Early Hearing Program. (BCEHP is the province-wide screening program that checks hearing for babies born in BC, and integrates services from hearing screening and testing to early intervention support following the identification of hearing loss.) A year later, BCEHP was ready to consider adding a parent-to-parent support component to its program. Along with Cathy Luther, Teresa was sent to a Hands & Voices Leadership Conference to explore whether their Guide By Your Side (GBYS) program could be a good model for parent-to-parent support within BC. Impressed with what they learned, Teresa and Cathy indeed returned recommending that BC set up a GBYS program and a BC chapter of Hands & Voices that could run the program in conjunction with BCEHP. There was a huge amount of work involved to turn this recommendation into a reality, and it was Teresa and Cathy who spearheaded this. Teresa volunteered tirelessly to bring together a founding board of directors and establish BC Hands & Voices as a non-profit society, establishing its mission statement and by-laws. This administrative task was all the more formidable as BC Hands & Voices was the first chapter to be set up outside of the USA. 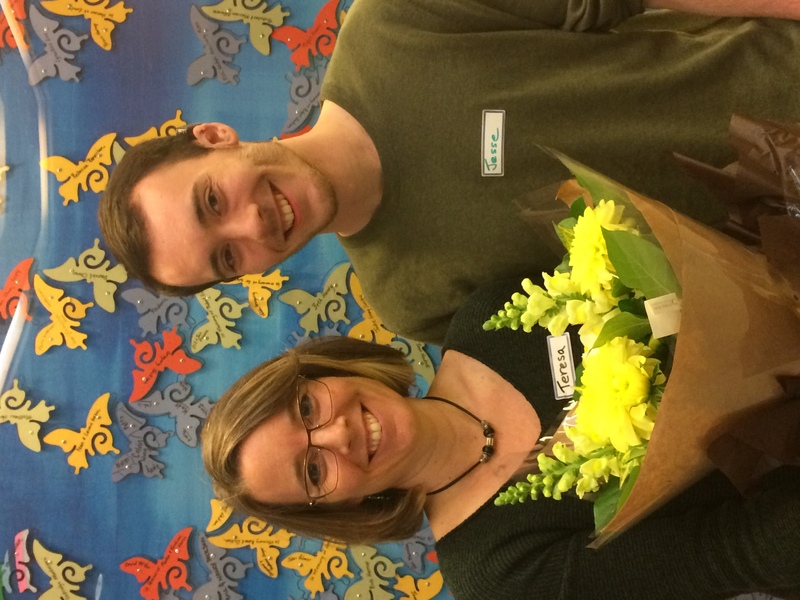 At the same time, Teresa was hired by BCEHP as the first GBYS Parent Coordinator. Teresa brought together the first team of Parent Guides in record time; incredibly all of this was set in place within just a few months so that the new Parent Guides were ready for the initial training that Hands & Voices was providing to our new chapter in the spring of 2008. After the initial flurry of getting BC Hands & Voices and GBYS off the ground, Teresa’s philosophy of “we can’t do everything, but we can do something” ensured they not only kept going but gathered strength and momentum. This came about in part from Teresa’s diligent worker bee attitude but also from her capacity as a thoughtful leader. Her persistent hard work is inspiring, and just as motivating is her unwavering fairness and patience, as well as her infectious enthusiasm. Teresa truly embodies the Hands & Voices philosophy of providing unbiased support and the belief that families will make the best choices for their children if they have access to good information and support. Her dedication has meant that families of young deaf and hard of hearing children across this province have had consistent access to parent-to-parent support from an organization that embraces all families within the entire spectrum of communication choices and hearing levels. Under Teresa’s leadership, BC Hands & Voices and GBYS have grown into a strong, sustainable organization and program with a wide reach. 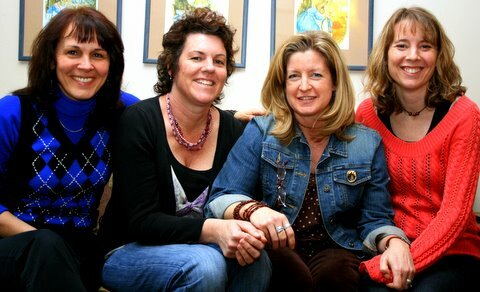 After five years, Teresa handed over the reigns of GBYS Coordinator to Kim Shauer. More recently, after serving as Leader of BC Hands & Voices for an impressive decade, Teresa has passed the baton on to Lee Johnston this year. 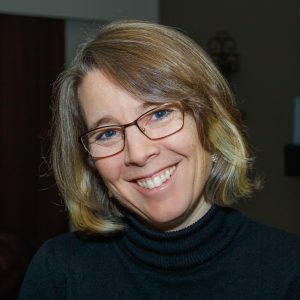 Her work with BC Hands & Voices continues; as Past-President, Teresa remains an active member of the BC Hands & Voices Executive Board, and she also serves the organization at the international level by sitting on the Hands & Voices Board of Directors. It is a privilege to work alongside Teresa and learn from her experience and expertise. Teresa offers all of us in this community a great deal – by listening to her story as a mother, a professional and a leading community volunteer, we too can become stronger parents and advocates for our children, and better support one another along the way. This entry was posted in Administration, Articles, Featured. Bookmark the permalink. Follow any comments here with the RSS feed for this post.